I do live in Arizona, so we have not said goodbye to summer heat just yet. Even yesterday, our high was 102 degrees! I can hardly wait to wear fall clothes! In case any of you are still getting some of those warmer temps like me, or perhaps have a warm vacation you’re looking forward to – let’s talk floral shorts! Anything floral just catches my eye immediately! Whether it be in stores, or online – I can’t get enough! So, when I saw these floral shorts AND that they had such a good price tag, I couldn’t resist getting them! My go-to is typically black and white! 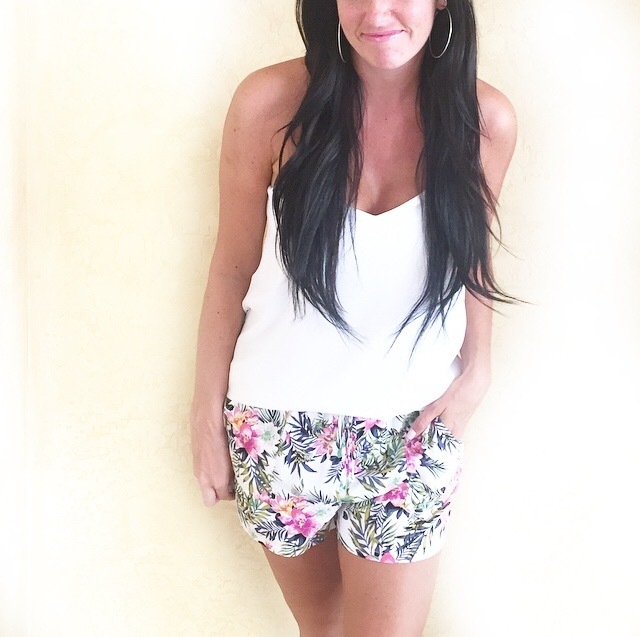 So – I chose two of my favorite tops to wear with these gorgeous, comfortable summery shorts. What was your favorite print this summer? Do share!